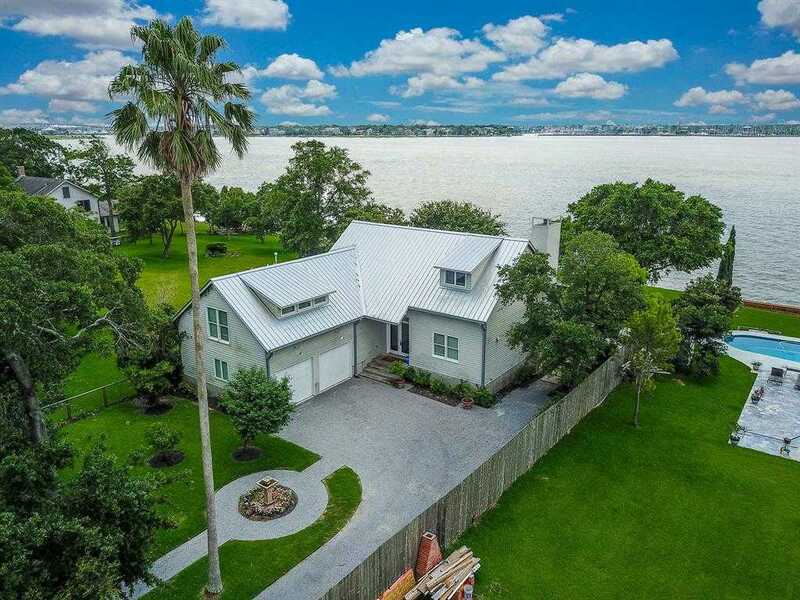 Designed for entertaining & family living, this stunning home has expansive water views, covered porch, panoramic views of pool and Clear Lake. Contemporary kitchen features spacious island, marble countertops, subway tile & stainless viking appliances. Downstairs has custom stained floors, open living/dining/kitchen area, and en-suite bedroom all with fabulous lake front views. Expansive laundry room with sink. two car attached garage. Upstairs is 2nd bedroom/dorm room that the kiddo’s will love! Second master up features generous sitting area, lake front views and spa-like master bath with soaker tub and separate shower. Wood laminate flooring thru-out the upstairs for easy care. Swimming pool, fishing pier, private, fully gated yard. Elegance and comfortable living all in one! Welcome home to your personal oasis!